Window treatments look beautiful when they are hanging new, neat and clean. They give your house a completely different and appealing look. Not only that but curtains hanging on your windows protect furniture in the room from being damaged by sunlight and it ensures that you can comfortably stay in your house with complete privacy. People either use draperies that include heavy lined fabric extended till the floor and on the other hand curtains are usually lightweight unlined material. So, a lot of people are using curtains in their house and hence it’s needed to know how to clean the curtains the right ways. Dealing with Curtains that is Not Washable! There is no doubt that these hangings look really amazing but maintaining them is a big question that many people often think and worry about. Over time curtains usually collect a large amount of dust, dirt, pollens, oil and other bacteria and these are retained on the cloth. Though you may witness that your curtains look really clean even if they are hanging over windows for years and may often overlook cleaning of curtains but cleaning them is extremely important. Cleaning drapery should be considered as an essential part of cleaning before various occasions such as Christmas or New Year celebrations. When should the curtains be cleaned? How to take care of sheers (delicate parts of curtains)? Can curtains be cleaned in a washing machine? And many others. But cleaning curtains is not as difficult as you might be thinking. Here we are sharing some great tips that would help you in cleaning and maintaining your curtains really well. Vacuum cleaners are best appliances for weekly care of curtains. You can attach the upholstery brush attachment for cleaning with canister vacuum cleaners. For light weight curtains, you can shake them occasionally for removal of dirty and dust particles that may be collected on its delicate material. For giving your curtains a clean wash, you must first get rid of all the hardware that may be attached to your curtains. Check label of your curtain to look for washing instructions. If you are doubtful, you must test a small spot by cleaning with a mixture of water and detergent and check if it is cleaned without any damage. It is recommended that you wash curtains (washable ones only) in cold water using a small amount of detergent. You can dry curtains on a low setting in a dryer or can line dry them. This would work well for curtains that are washable. Do not dry them 100% and remove them until they are completely done. If you over dry them, it may have wrinkles however if they are slightly them, you will find ironing much easier. Now you just need to quickly iron curtains and restore hardware for hanging your clean curtains again. Do not expose your curtain fabric to extensive sunlight as it may decolorize your curtains and may damage the fabric. Use special care with curtains. If the curtains have delicate laces, it is best to get them hand washed or dry cleaned. Otherwise you may clean them by placing inside a mesh bag tightly shut in order to prevent any damage. 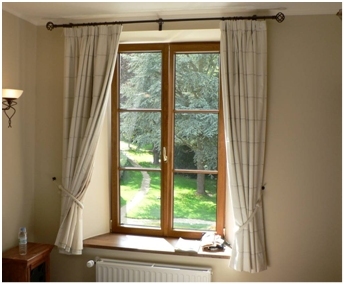 A daily care must be taken in order to keep your curtains clean and maintained. 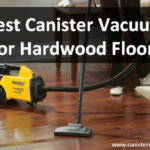 If you are tight on budget, you may check our reasonable priced canister vacuums for proper cleaning of upholstery, curtains and other such items. 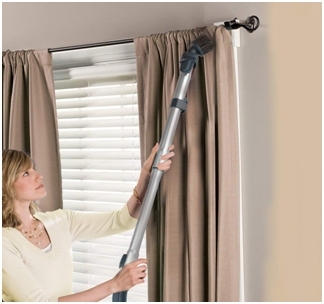 Vacuum clean your curtains often with the use of a soft brush attachment. You may also use a handheld vacuum cleaner. If cleaning is not possible weekly, you must do it at least once a month. There are chances that the curtains that are hanging all around your house are not washable (check label). If that is the case you must never wash them and take them to a professional dry cleaner for effective cleaning and for proper maintenance of your expensive curtains. If curtains are not labelled as washable. If fabric of the curtains is faded/weakened by extended exposure to sunlight. If they are pleated and have different layers of lining and laces of varied materials. If the add-ons are not colorfast. If the curtains are too huge and would not fit properly in your washing machine. In all these cases it is best to use a vacuum cleaner for smooth cleaning of curtains. 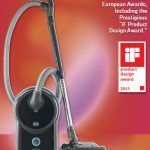 There are many vacuum cleaners available in market and you can compare different models by leading brands such as Miele canister vacuum series to see the best cleaner with ideal attachment tool for your curtains. These tips and guidelines would enable you to clean your curtains or drapes with ease and effectively. Proper cleaning and maintenance would not only make your curtains look beautiful but they will last with you for longer period of time and would save you from dust and allergy related problems that may occur with accumulated dirt and dust on your hanging curtains. So now that you know how to clean your curtains, make sure you don’t overlook cleaning of curtains when you consider a complete house cleaning task.